A typical day at camp blends nature exploration with active outdoor experiences under the guidance of knowledgeable camp counselors. Campers learn more about the natural world through: Fishing, Canoeing, Pond Exploration, Insect Collecting, Bird Watching, Hiking, Dip Netting, Arts and Crafts, Live Animal Presentations and Camp Games. We divide the children into small groups by age where they will participate in exciting, age appropriate hands-on activities based on the weekly camp theme. So Let's Have Fun in Nature! Duration: 3 Hours a day for 5 days. Choose a morning or afternoon session; or both - There is a supervised lunch between the Morning and Afternoon sessions at no charge. 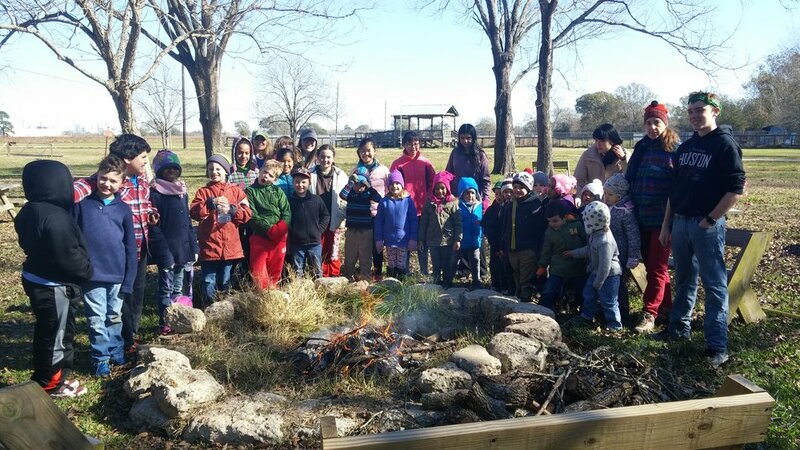 ABNC EcoCamp is a day camp licensed by TX Health and Human Services. Call 713 274 2668 for information or to register by phone. Full payment is due at the time of registration. Please make checks payable to ABNC. You will receive a confirmation letter and health form via email once we have received your registration. Please provide a legible email address. Camp starts promptly at 8:30 or 12:30. Please arrive on time! T-shirts available for $10. Please indicate size on registration form. Payment of fees is required to complete your registration. A $50 fee will be withheld on all cancellations for each camper unless the camp is cancelled by Armand Bayou Nature Center staff. If the Nature Center cancels a camp, every effort will be made to reschedule, or a full refund will be provided. If your camper is dismissed from the program, NO refund will be given. For the safety of your campers, all outdoor activities will depend on the weather. EcoCamp is held rain or shine. All campers need to dress appropriately for the weather and outdoor activities. Campers may get dirty and wet! Sneakers and socks are required. Please bring a snack/lunch and a refillable water bottle for your child; snacks and lunch will not be provided.